Hakusan, Japan, October 30, 2014 – EIZO Corporation (TSE: 6737) is making a full-scale entry into video management solutions business for operating rooms (hereafter OR). Today’s OR market is characterized by the urgent need for smart integration and management of a broad range of medical images and video signals. To address these needs, EIZO has established a new OR team in Germany dedicated exclusively to the development, production, and promotion of individually customized OR solutions such as surgical panels, surgical monitors, and controlling software. EIZO already possesses a strong set of skills and exceptional technical expertise. With the new OR team EIZO is no longer just a hardware provider, but is now in a position to offer OR customers individual consulting and tailor-made video management solutions in accordance with their specific desires and needs. 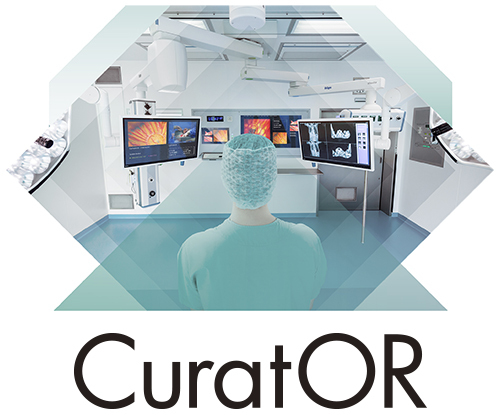 The new brand name “CuratOR” asserts EIZO’s commitment to its role as a subject specialist in OR solutions: you can experience the future of OR technologies with EIZO CuratOR. The full-line of OR solutions will be unveiled in the EIZO booth Hall 10 #H41 at Medica 2014 from November 12-15 in Düsseldorf, Germany. EIZO (TSE: 6737), which means image in Japanese, is a visual technology company that develops and manufactures high-end display solutions. EIZO integrates hardware and software technologies with consulting, web hosting, and other services to help customers in business, graphics, gaming, medicine, maritime, and other fields work more comfortably, efficiently, and creatively. Headquartered in Hakusan, Japan, EIZO has R&D and manufacturing facilities in Japan, China, Germany, and the US, and representation in more than 70 countries. For more information, please visit www.eizoglobal.com. EIZO is registered trademark of EIZO Corporation. CuratOR is a trademark of EIZO Corporation.